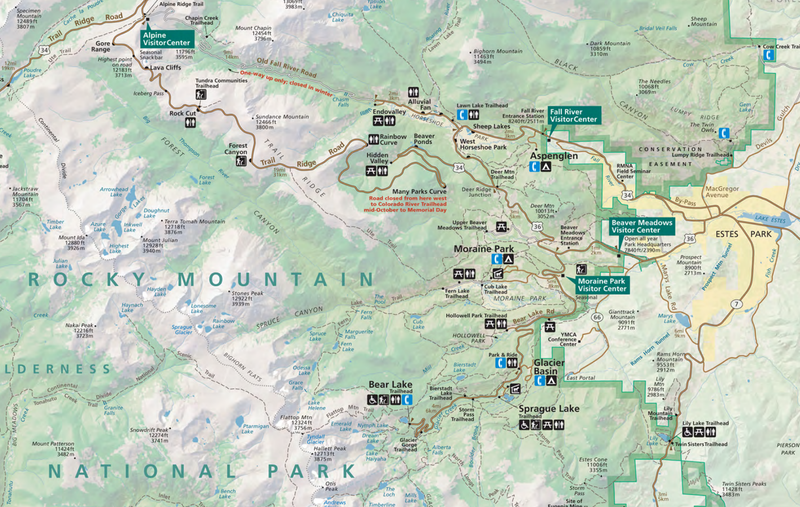 The second day Charlotte was here, we headed up to Estes Park, CO to visit Rocky Mountain National Park. 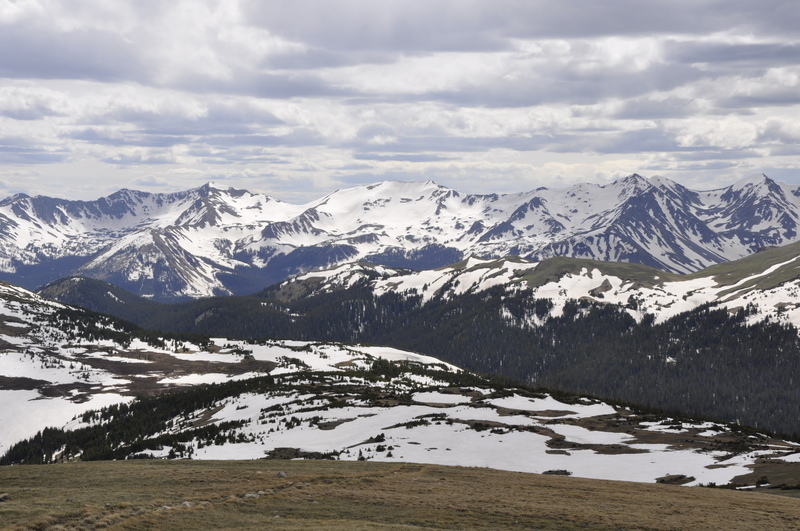 When I went last time, the Trail Ridge Road was still closed, but this time, it was “warm” enough to travel to the 12,000+ feet Alpine Visitor’s Center. I say “warm” because it was 40 degrees and snowing! Despite the cool weather, we started at the Bear Lake Trailhead and headed toward Nymph Lake, Dream Lake and Emerald Lake. 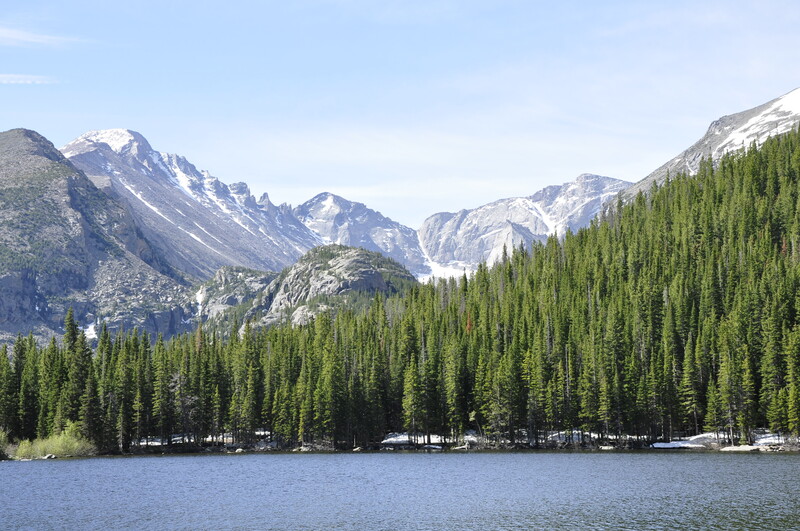 Longs Peak in the background with Bear Lake in the foreground. 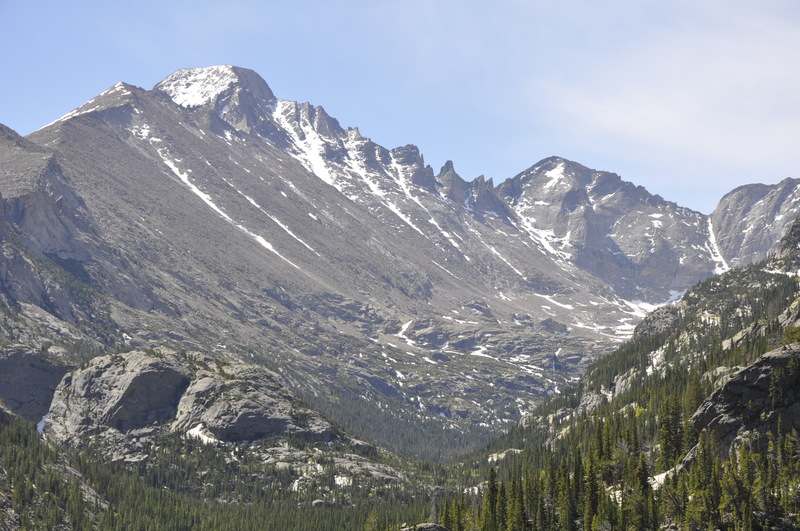 One of the most beautiful vistas from the hike was seeing the backside of Longs Peak (14,259′) from the trail! 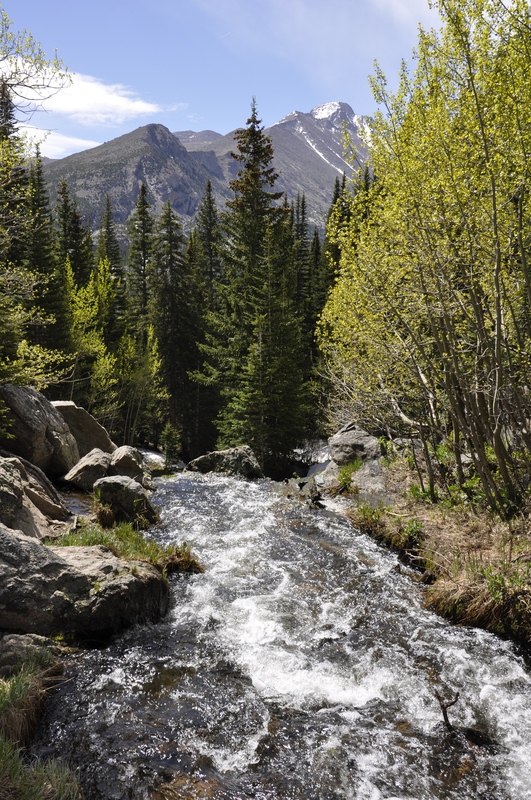 We also passed by a small waterfall, which also overlooked Longs Peak. Longs Peak through the trees. 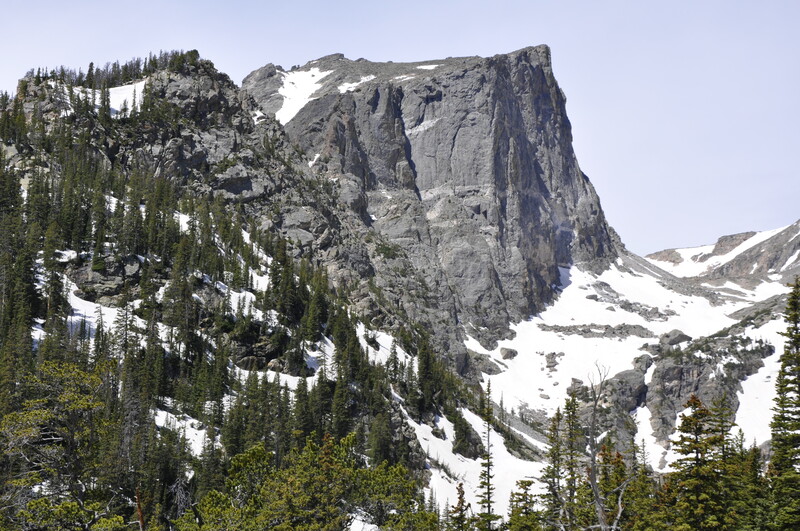 When we approached Dream Lake, we peeped an amazing view of Flattop Mountain (12,362′). 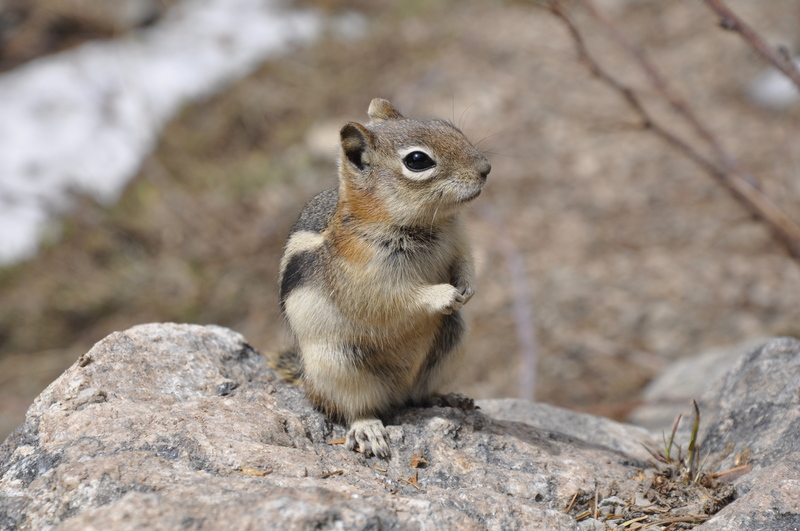 Along the trail, we ran into ground squirrels begging for food, which we did not provide, but I was close enough for a great picture! 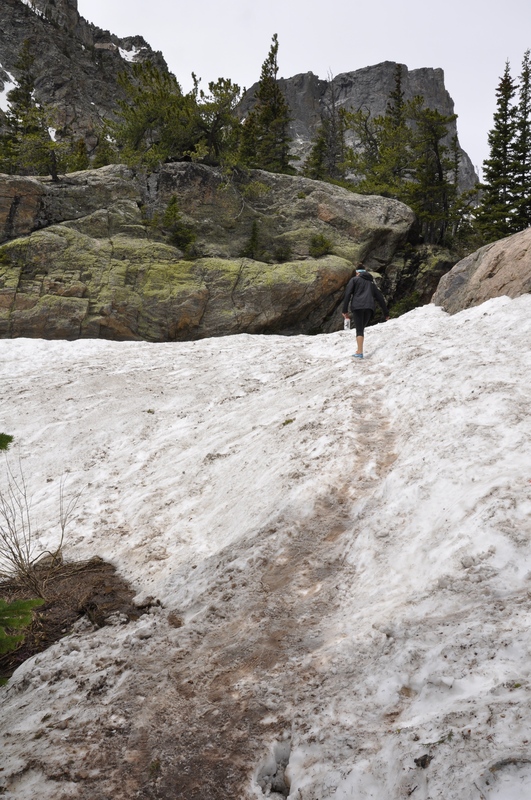 On the way to the last lake, Emerald Lake, we faced snow on the trail – check it out below. It was slippery and icy, as it has been “warming up” in the park in comparison to the winter. Charlotte and I both slipped on the way up and down! Beware of the ice, Charlotte! 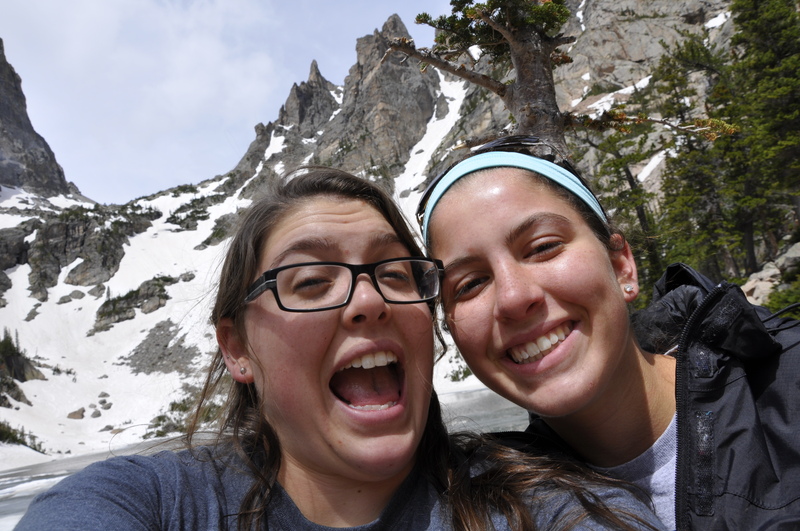 Emerald lake was frozen, which you can see partially from our sister selfie! 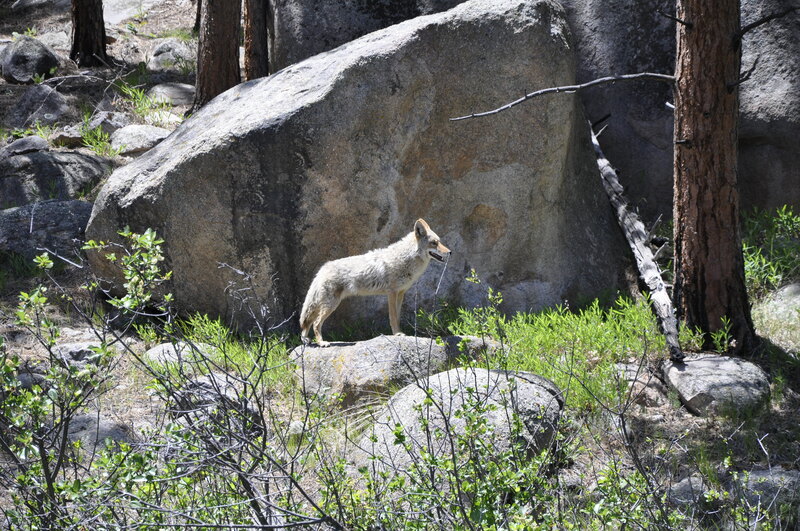 After finishing that hike, we stopped and had lunch and saw a coyote by the side of the road. 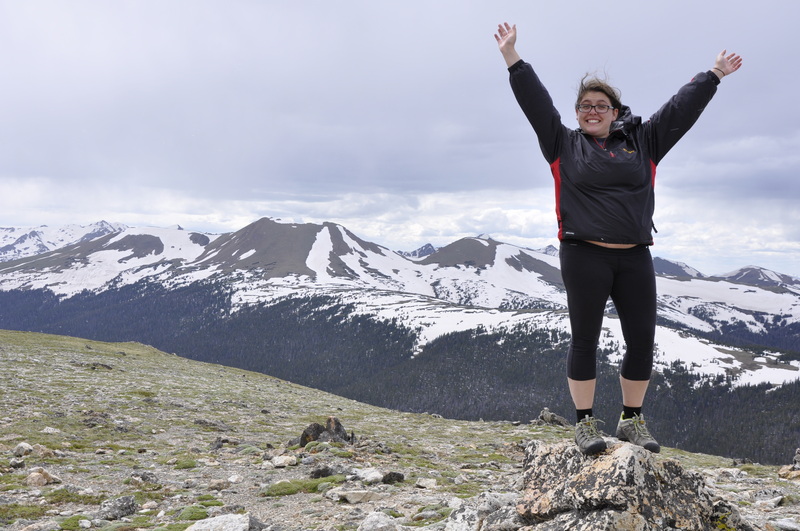 Next stop: 12,000 feet! 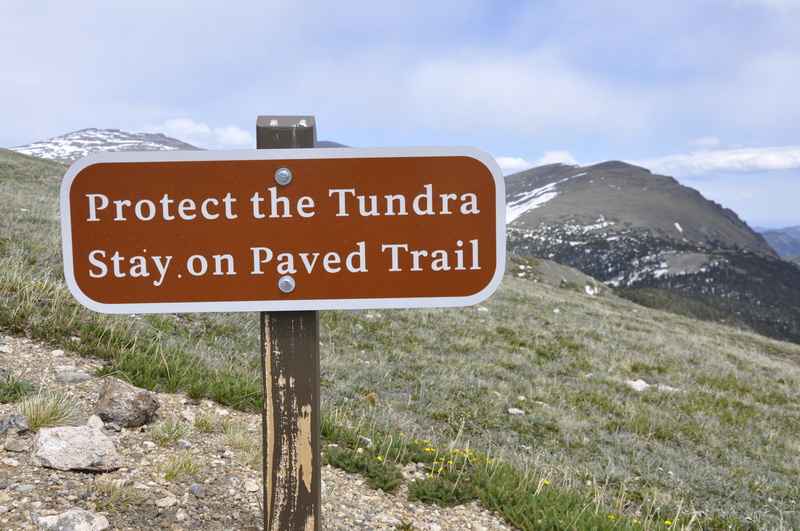 We drove up the trail ridge road amongst the other cautious drivers and stopped at every pull out to take pictures, of course! Here are a couple form the top of the mountain by the Alpine Visitor’s Center. 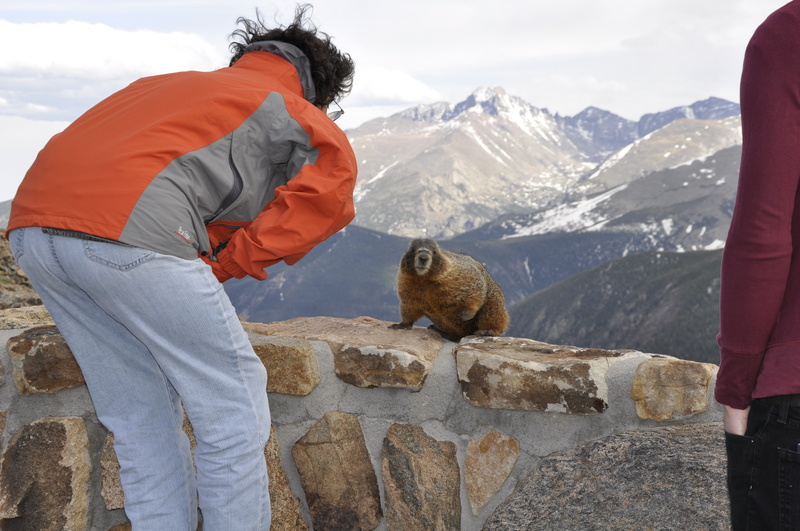 On the way down, at the Gore Range overlook (Charlotte and I’s favorite)..
..we spotted a curious marmot! That’s all for the snow. Stay tuned for the next set of adventures!